» Wedding Cards: How To Select The Perfect One? One of the most interesting aspects in Indian Weddings is distribution of Wedding Invitation Cards to friends and relatives. Indians are very fond of beautifully designed Wedding Cards meant to invite people to attend the wedding celebrations. Like all the other things associated with an Indian Marriage, even Wedding Cards have to be grand. It means that great care is taken to ensure that the wedding cards reflect the grandeur connected with the wedding. As soon as the wedding date is fixed, families of the bride and groom start their search for the finest Invitation Card. Invitation Cards are important as they have all the information about the wedding that a guest may need. Name of the bride, the groom and their parents; date of the wedding and other functions; address of the venue, etc. are clearly mentioned in the Wedding Cards. Some people also get a map to reach the venue printed on the backside of the card. All the other details related to the marriage are also mentioned in the card. 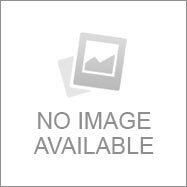 There is a wide variety of papers that can be used for manufacturing a Wedding card. You can choose from crushed paper, handmade paper, glossy paper mat finish paper, fibrous paper etc. Once you select the paper, decide whether you want a two fold card, three fold card or even more than that. You can also take your pick from rectangular shaped cards to square shaped cards and any other shape. Most of the wedding cards have sacred religious symbols printed on the top. You can take your pick from the beautifully designed images of Ganesh ji, Laxmi ji in traditional/modern format or go for natural motifs etc. 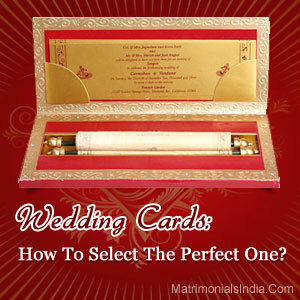 Since Wedding Cards have great significance, particularly in Indian Weddings. It is necessary that you choose a card that gives information about your marriage in style as Wedding Cards are no less than a style symbol for most of the people. There are many colors, designs, shapes, sizes and even papers to choose from. So select the one that you like and invite your friends and relatives to the wedding with lan. Am in love with the wedding card and every thing. I really enjoy reading your site, please keep up the good works that you have been doing. I will check back soon.